Could it be sol and mi? Fall edition! 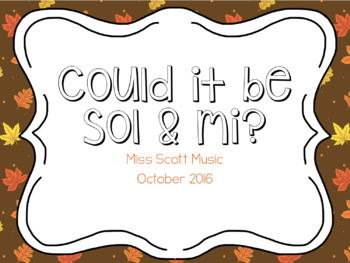 This game is intended to reinforce sol and mi with your students. 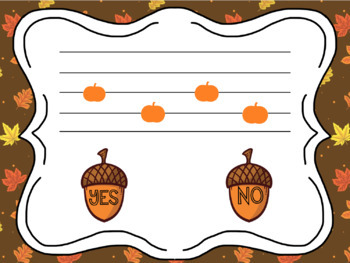 A fun, fall themed way to review or assess during a lesson about sol and mi! 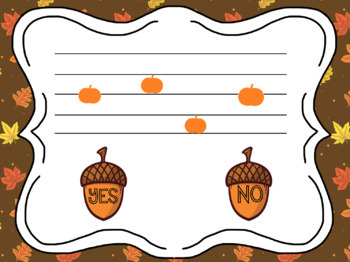 Students will look at a measure of pitches on the staff and determine whether or not those pitches could be sol and mi. My first graders LOVE this game!